After visiting the Churchill Centre why not find out about the industrial heritage of the area at the Black Country Museum or visit Dudley Zoo & Castle. Dudley has a rich history dating back to Anglo-Saxon times and is even mentioned in the Domesday Book! 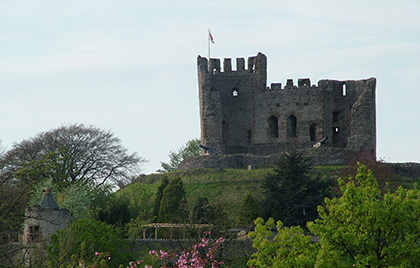 The Grade I listed ruins of Dudley Castle overlook the town centre and Dudley Zoo is built in castle grounds. The zoo is home to a large collection of endangered species, and also the largest collection of architecturally significant Tecton buildings in the world. Dudley is located in the heart of the Black Country 10 miles west of Birmingham, 6 miles from Wolverhampton and 3 miles from junction 2 M5. Churchill Shopping Centre is situated in the centre of Dudley in the main retail area at High Street and Market Place adjacent to the central bus station. Short and long stay car parks are also with easy walking distance. Phase 1 of the market place redevelopment is now complete. Castle Street, New Street and Fisher Street have reopened. Churchill has a number of roof top parking spaces with CCTV coverage available at the Centre on an Annual Licence. £150.00 P.A. plus VAT per space payable quarterly in advance (occupiers rates payable direct to the Local Authority).